I was done with my morning dose of the Internet and was getting up to prepare breakfast when I saw this comment by GVji on my earlier poha recipe. That reminded me I haven’t been trying out the different poha recipes for a while and started on this. A great breakfast option for the summer. Beat the curd, add salt,sugar and keep it aside. Soak the poha and drain it immediately. Using a sieve works out best for this. Temper with oil, mustard seeds, jeera, hing, curry leaves, green chilli, ginger. Add the poha, tempering mixture and curd. 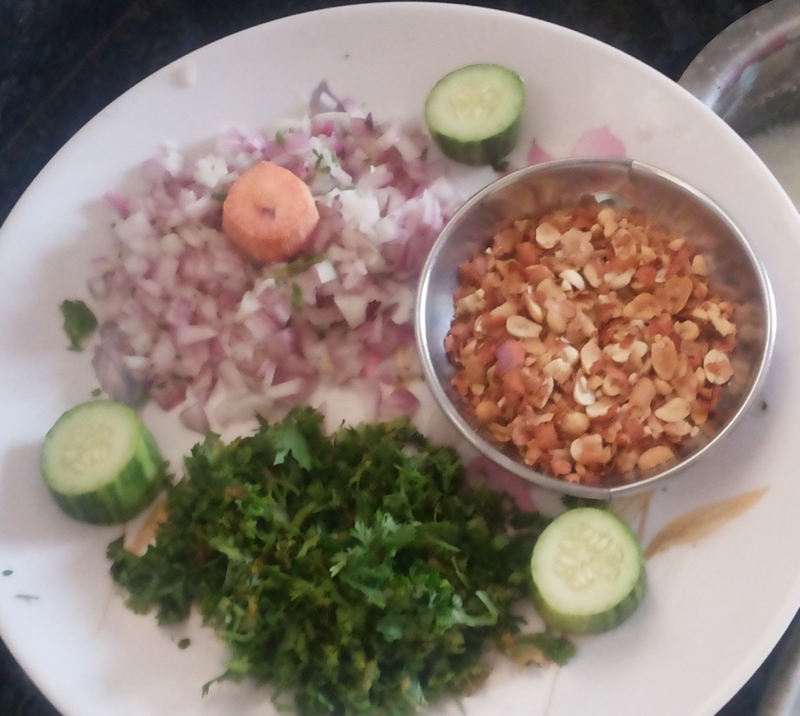 To this add onions, groundnut and coriander and serve. 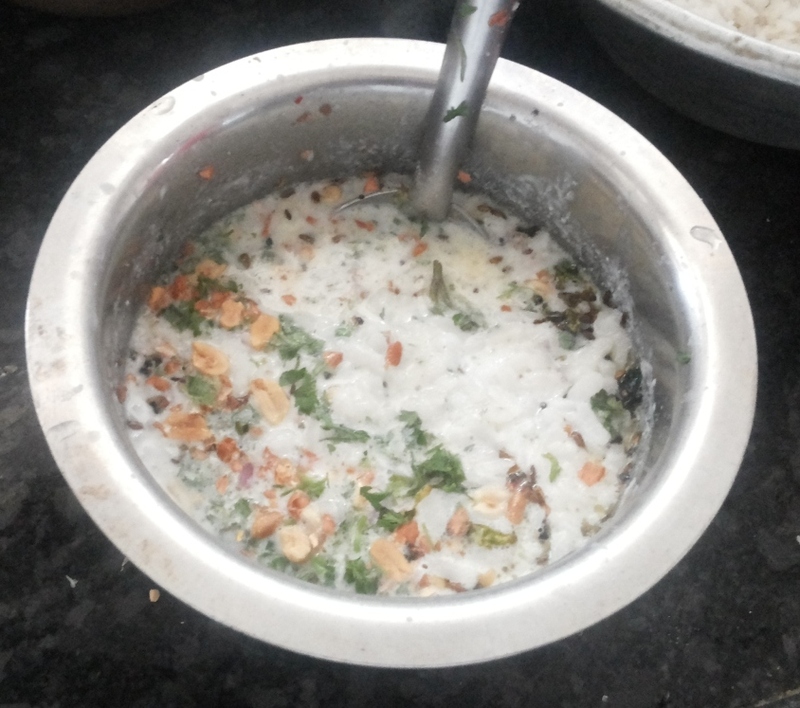 Note: Mix the poha and curd only when you are ready to serve else it absorbs all the curd and becomes dry. I am going to try this tomorrow! Much needed in this hot weather. Its me favorite summer food..breakfast lunch or dinner! 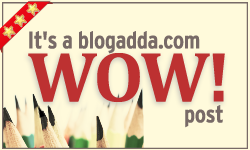 Reading your blog can be frustrating at times! 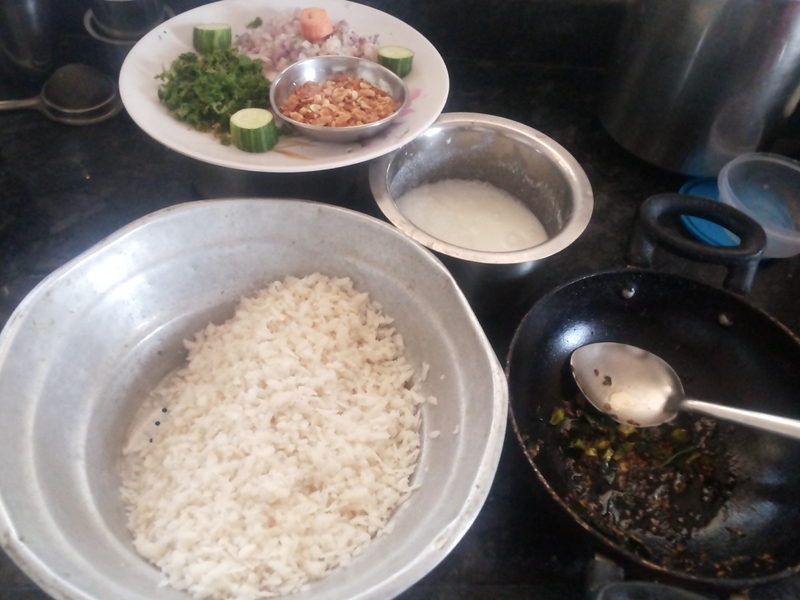 Imagine the plight of a foodie like me, ogling all those nice pictures of delicious preparations and not being to taste them right away! How I wish, food could be sent as email attachments! hehe… That was a nice comment. Like those wacky one liners with unexpected second line. I could only see the first line in the phone notifications. All this while, I was waaiitting to come home and read the rest of the comment. I am not great at presentation of the food. When I am at my hometown, fortunately for me, my Mom and brother take pictures patiently. Good to know they tempt you.